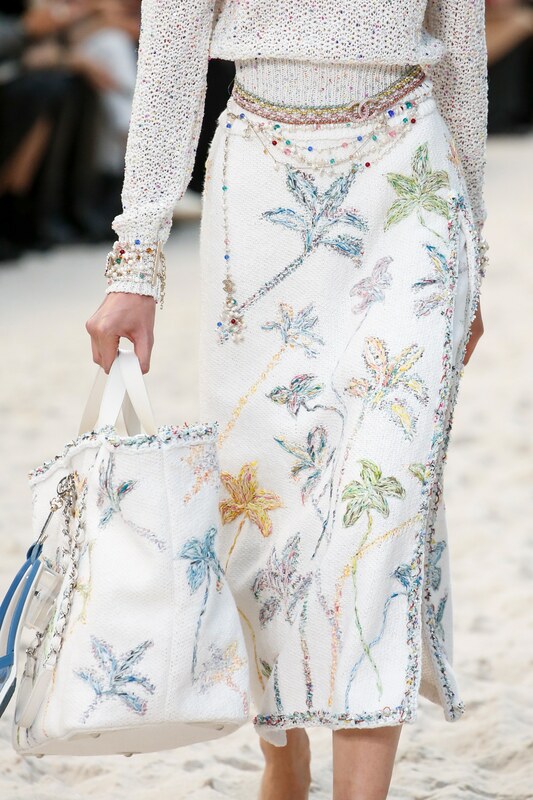 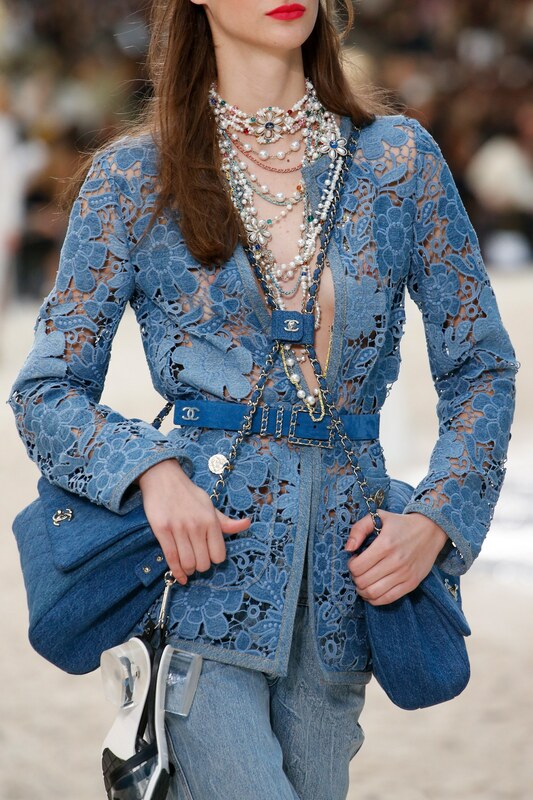 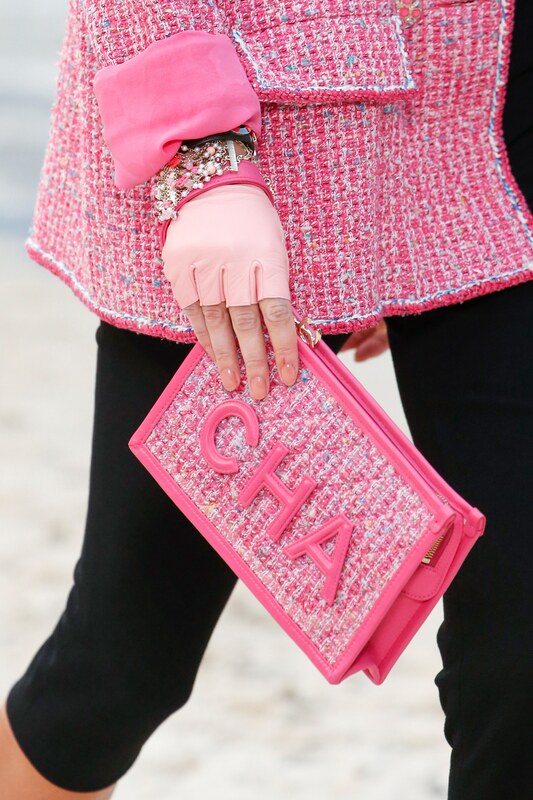 In true Chanel fashion, the Spring/Summer 2019 runway show is expensive, extravagant and just amazing. 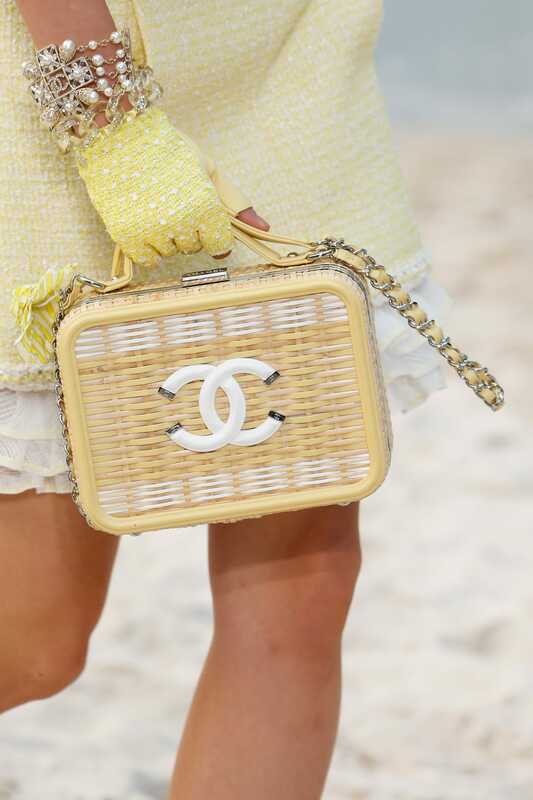 Entitled “Chanel By The Sea”, the Grand Palais was transformed into a beach that even comes with a lifeguard. 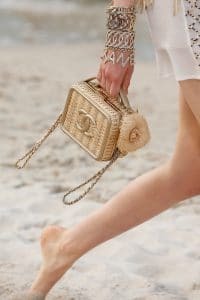 The models walked barefoot in the sandy runway while presenting the beach perfect ready-to-wear pieces. 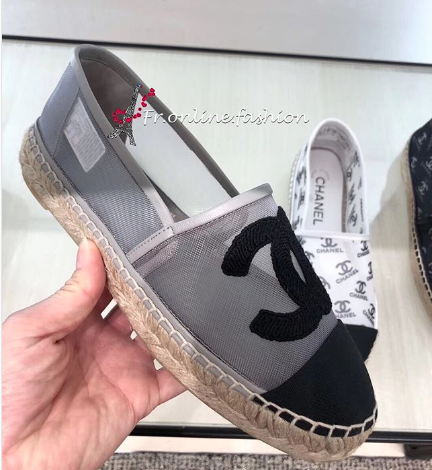 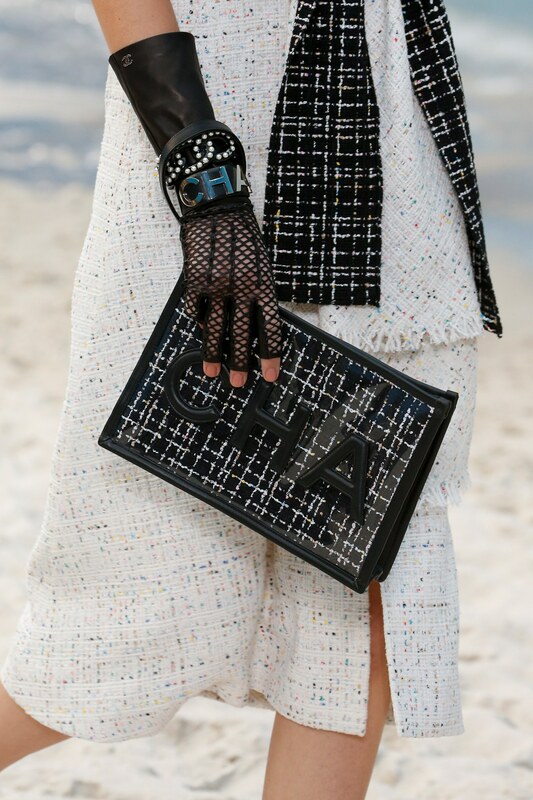 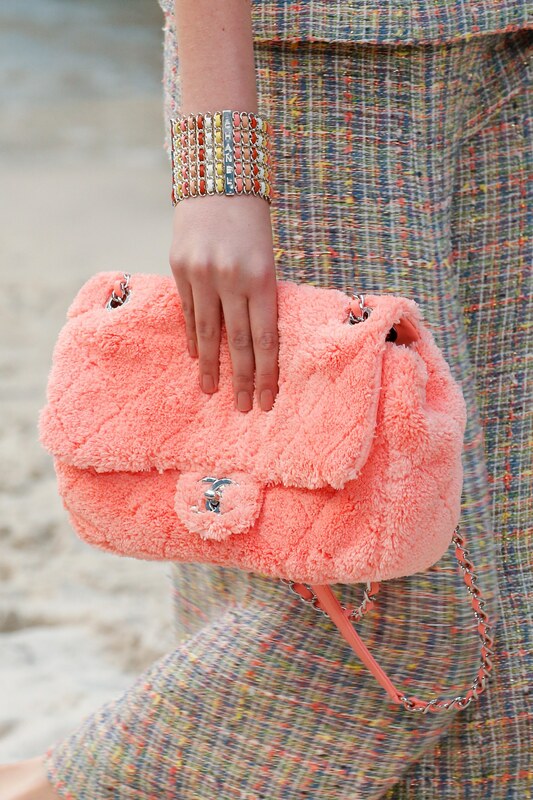 Chanel tweeds, logo sandals and straw hats appeared the runway. 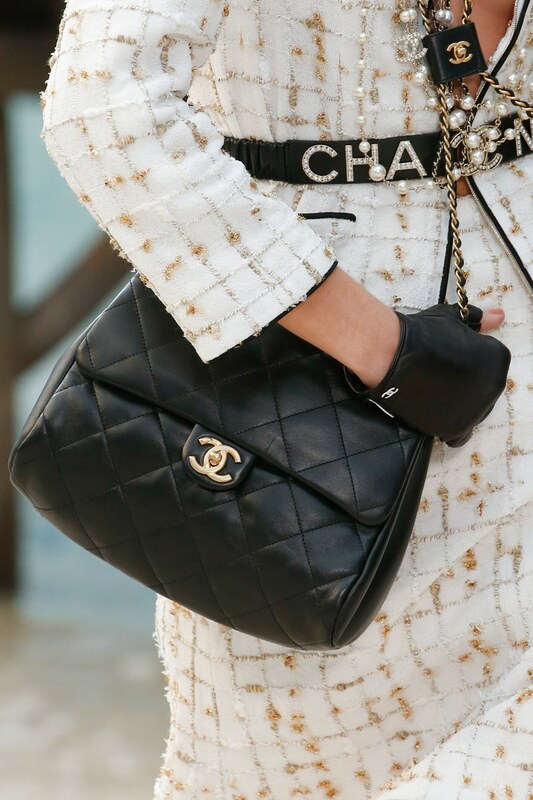 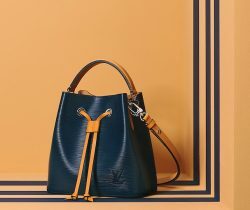 As for this season’s handbags, the brand’s Classic Flap bags were seen in double. Two flaps were carried across the body that comes with pearl straps. Aside from the signature tweed and sequins, the flaps were also made available in fluffy fabric. The CC Filigree comes in wicker material with a flower charm. 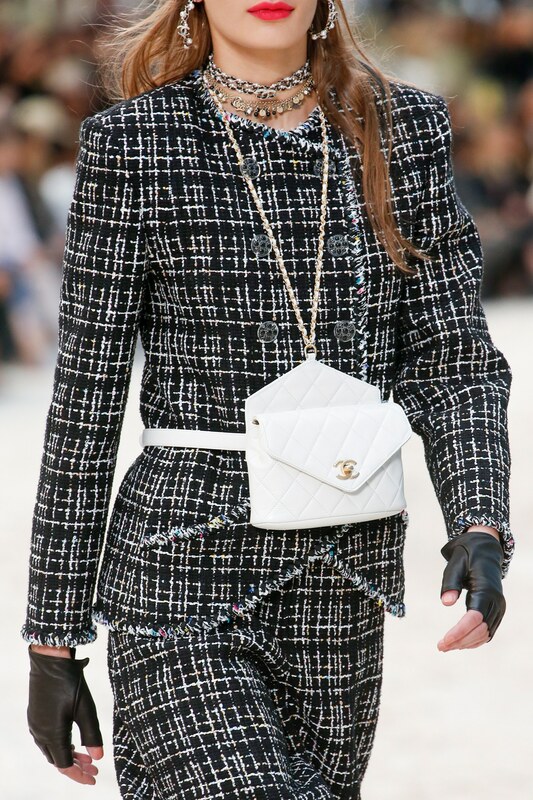 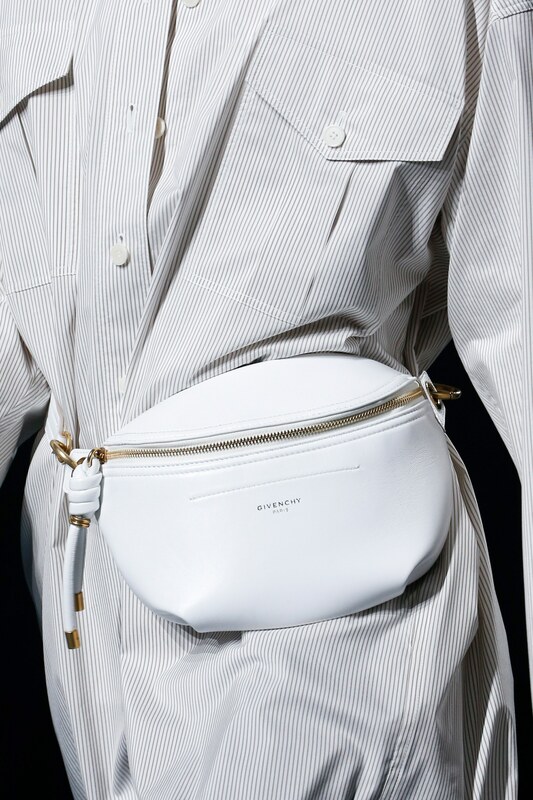 Belt bags are seen in quilted leather and includes as a strap that can be worn around the neck. 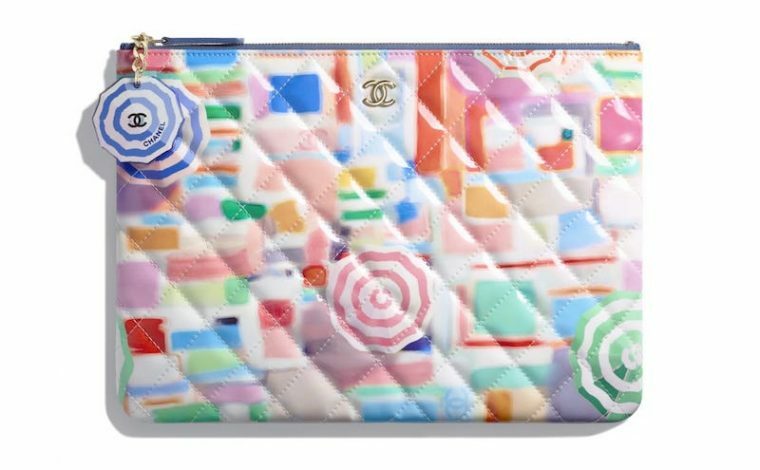 With the ocean theme, evening bags features beach-inspired pieces including shell and beach ball shapes. Some handbags also includes hooks wherein sandals can be secured into it.